Produced by TAD Management. One of These Nights promises exactly that AN UNFORGETTABLE NIGHT! 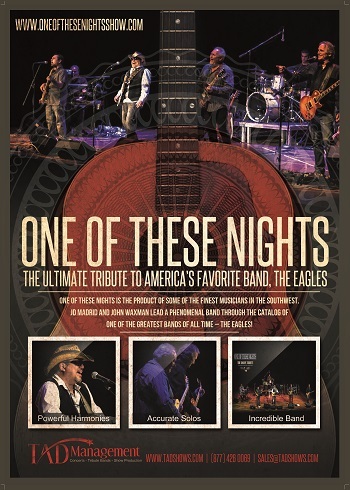 Join us as Arizona's own JD Madrid and John Waxman lead a phenomenal band through the catalog of one of the greatest Bands of all time - THE EAGLES!